The wonder material graphene has shown so much potential in the lab that the University of Cambridge founded an entire center in its names. Now, a team of researchers from the Cambridge Graphene Centre (CGC) and Jiangnan University, China have designed a wearable motion sensor using cotton coated in graphene-based ink. The cheap, sustainable technology could find applications from healthcare to sportswear. 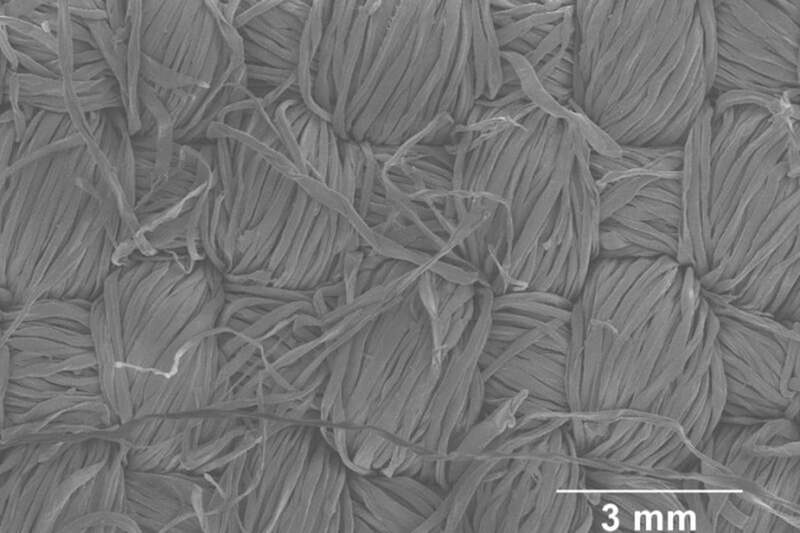 To develop the conductive cotton, CGC researcher Felice Torrisi and his team chemically modified flakes of graphene so they would firmly stick to cotton fibers like colored dyes. The process helps maintain the conductive properties through a series of wash cycles and enables the researchers to design electronic systems right into articles of clothing. Cotton’s comfort, durability, and affordability make it an ideal base for smart textiles. But these properties are undermined when rigid, fragile, and expensive electronics are used. By integrating cotton with graphene, the researchers were able to retain the desirable traits of both materials, demonstrating that the textile could detect 500 motion cycles and withstand 10 wash cycles in a standard washing machine. A paper detailing the design was published in the journal Carbon.